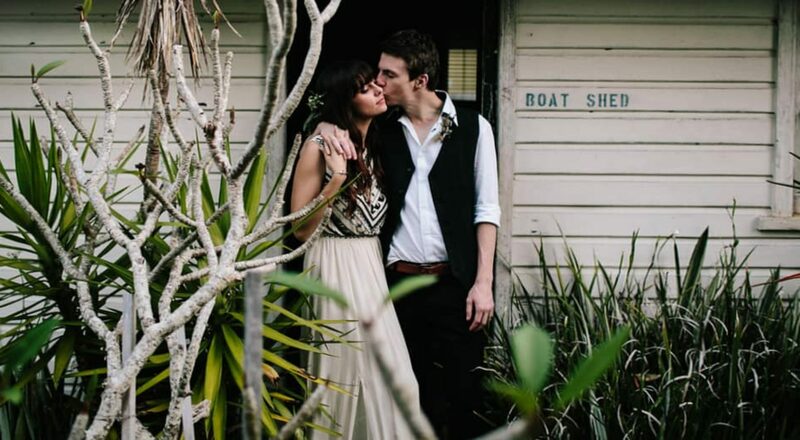 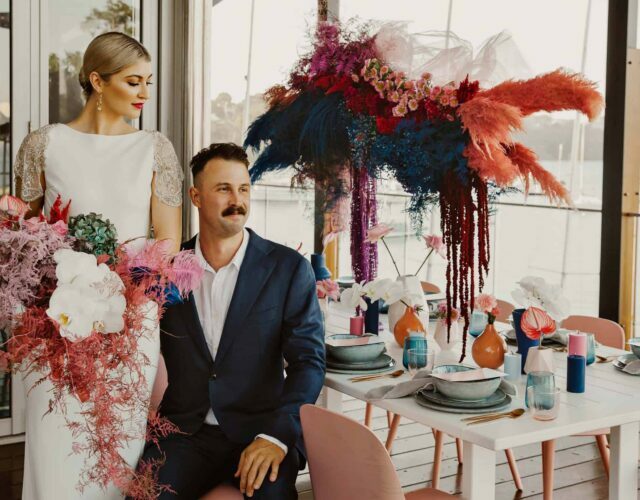 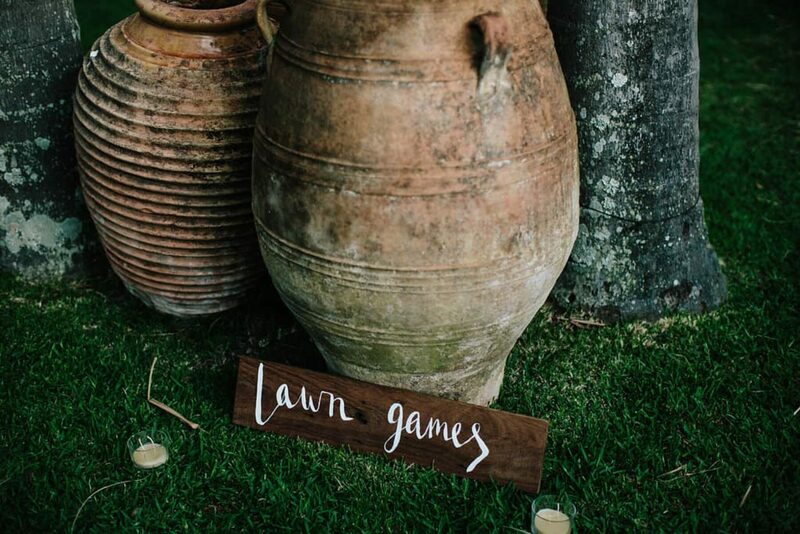 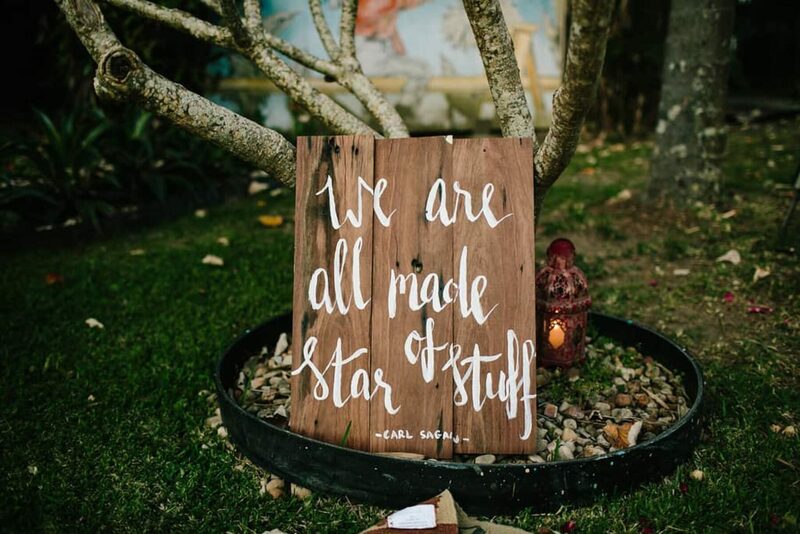 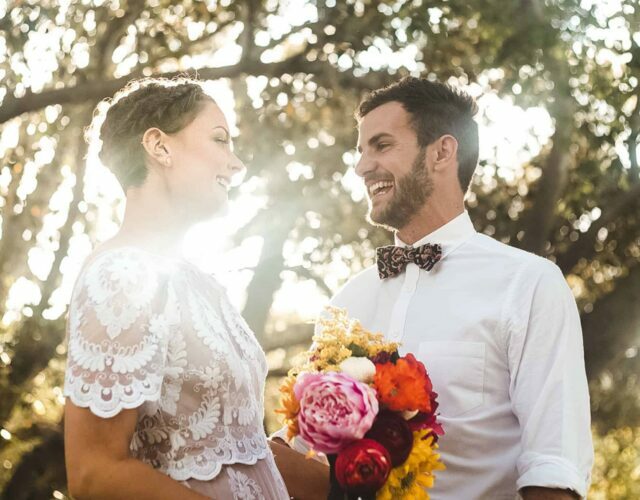 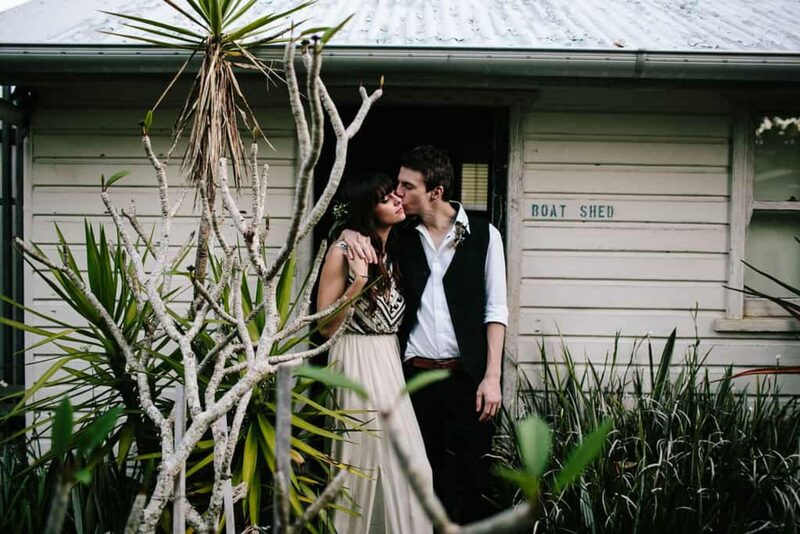 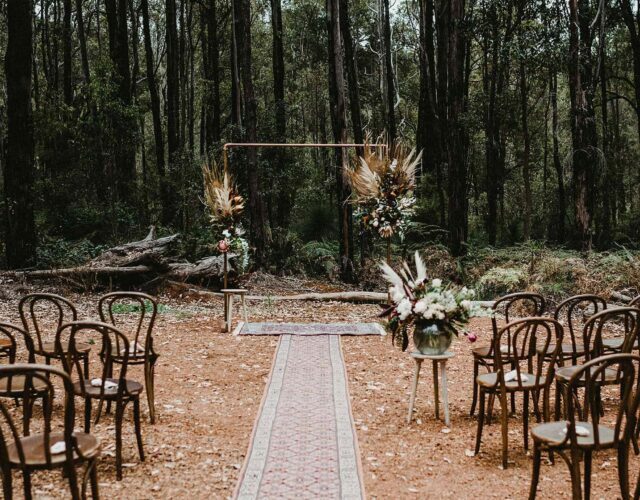 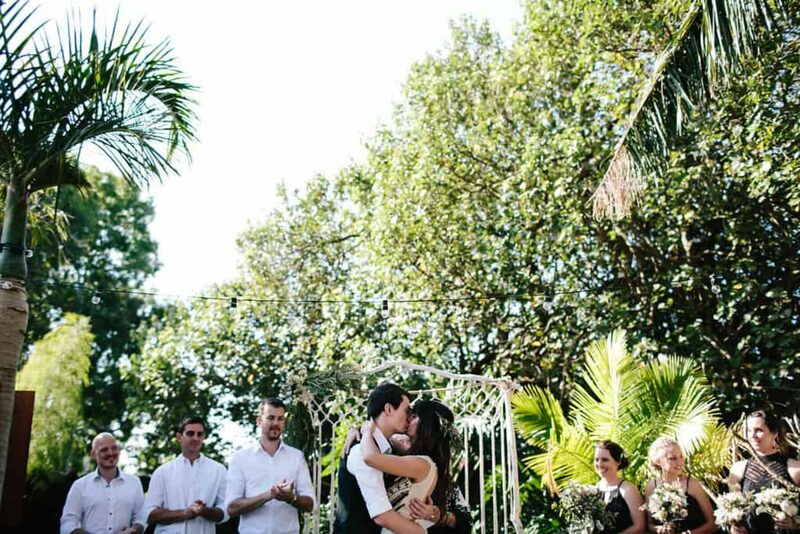 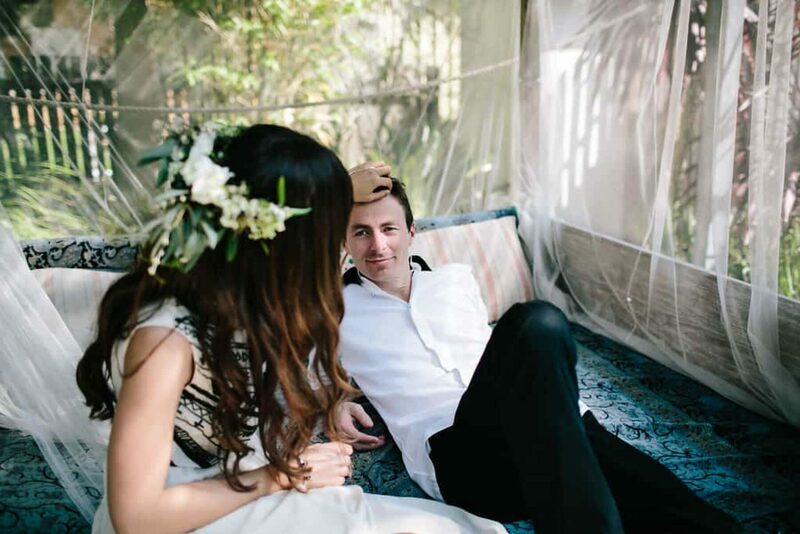 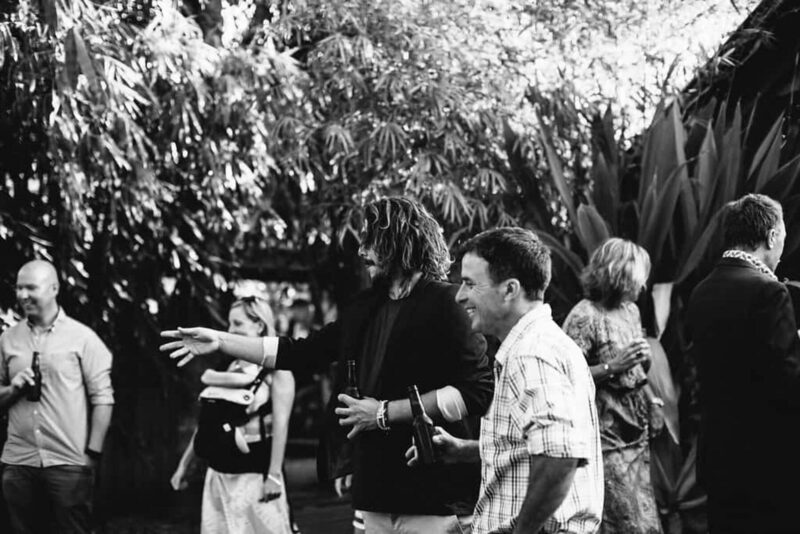 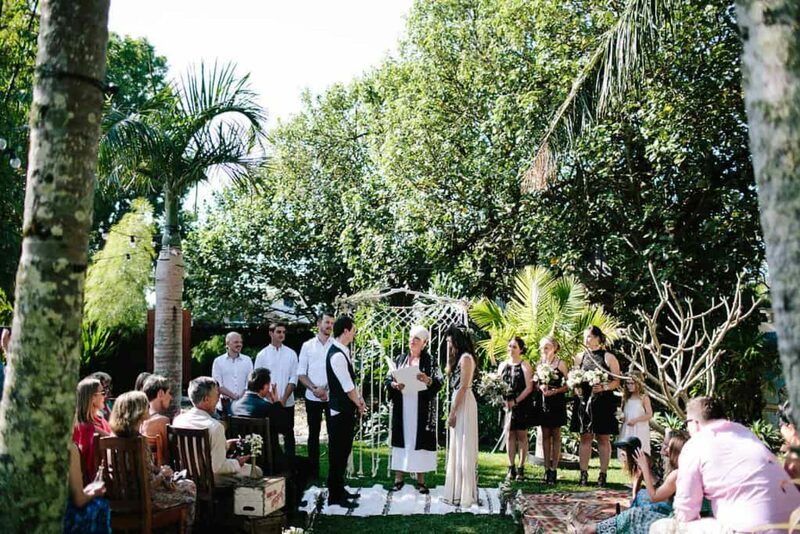 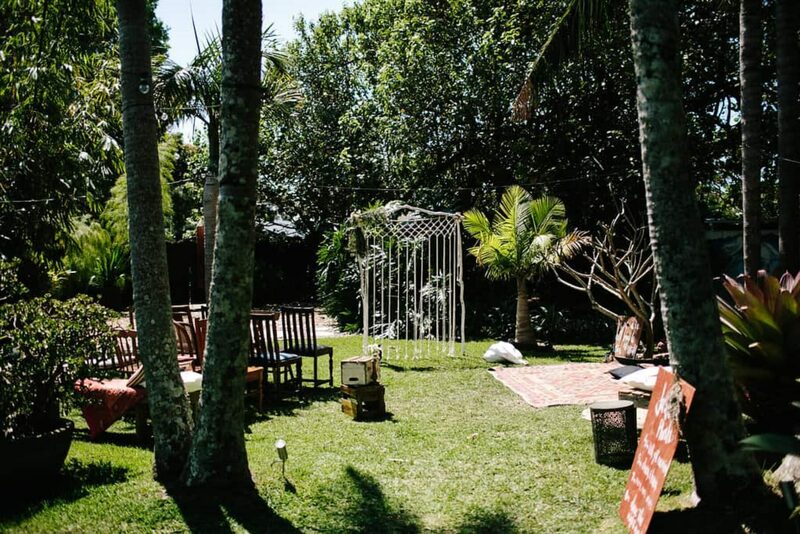 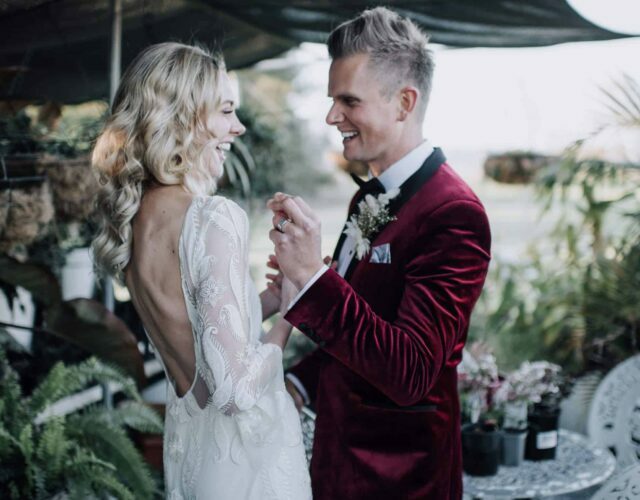 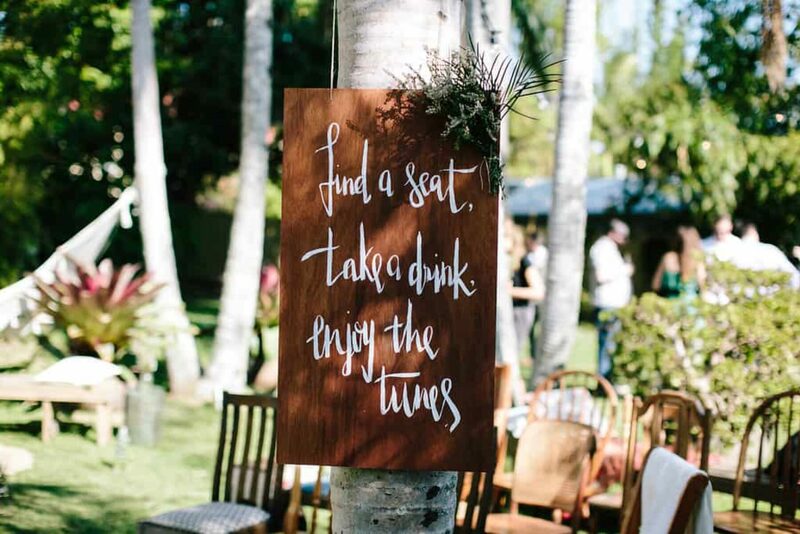 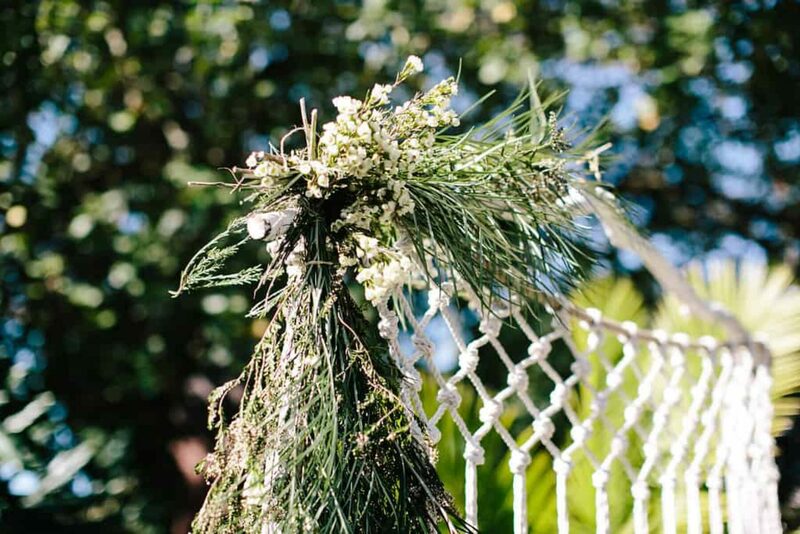 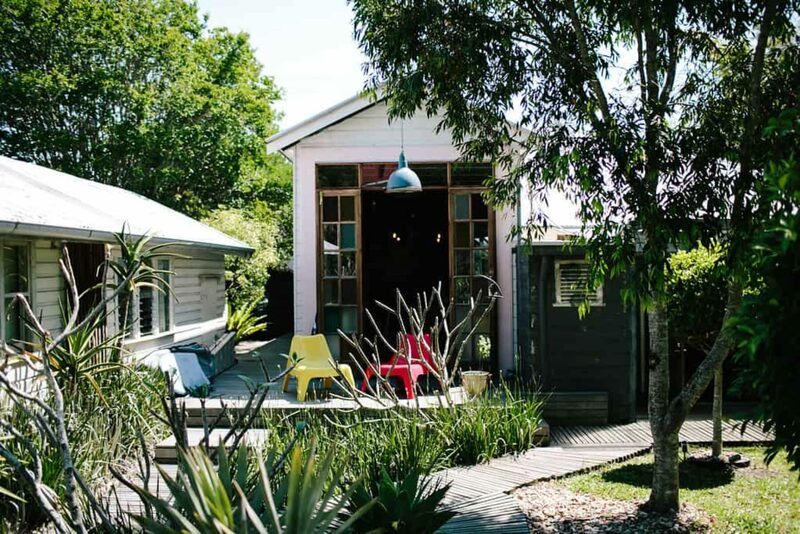 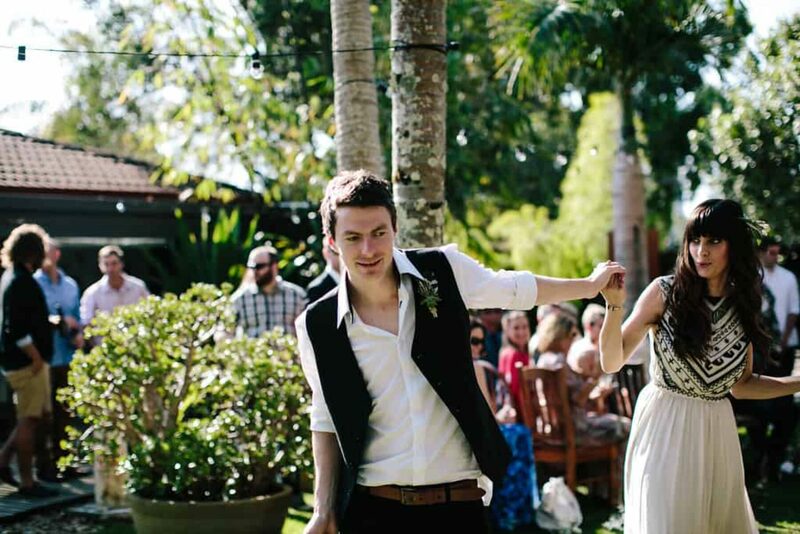 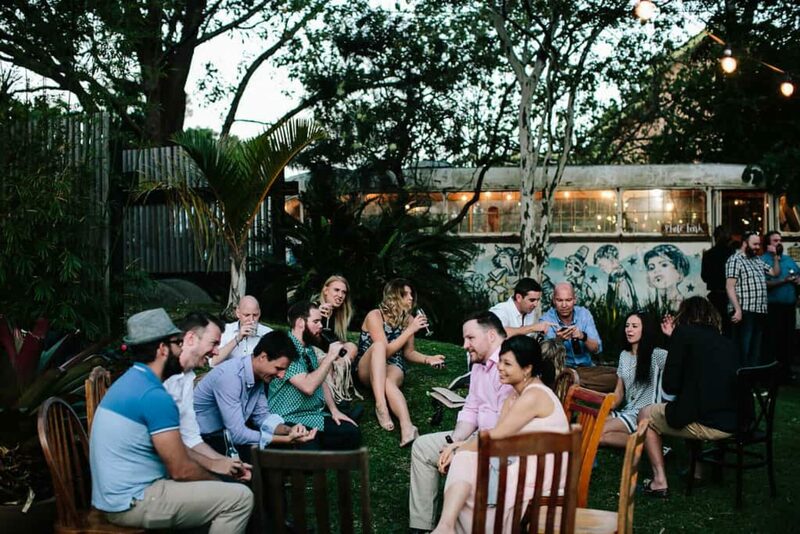 Phoebe and Jared’s big day started with the two of them writing their vows together in bed, which pretty much set the tone for their carefree wedding at Byron Bay’s utterly charming Secret Garden. 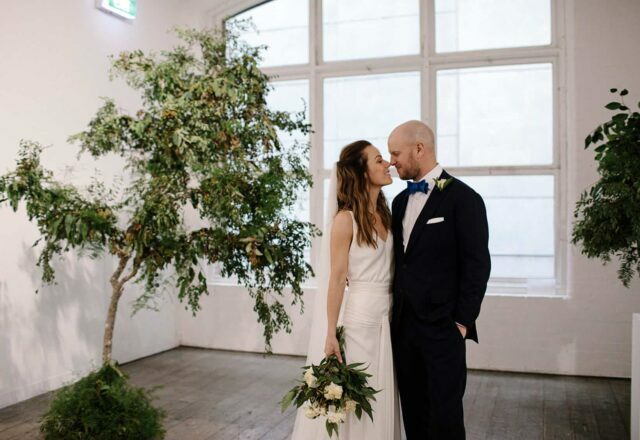 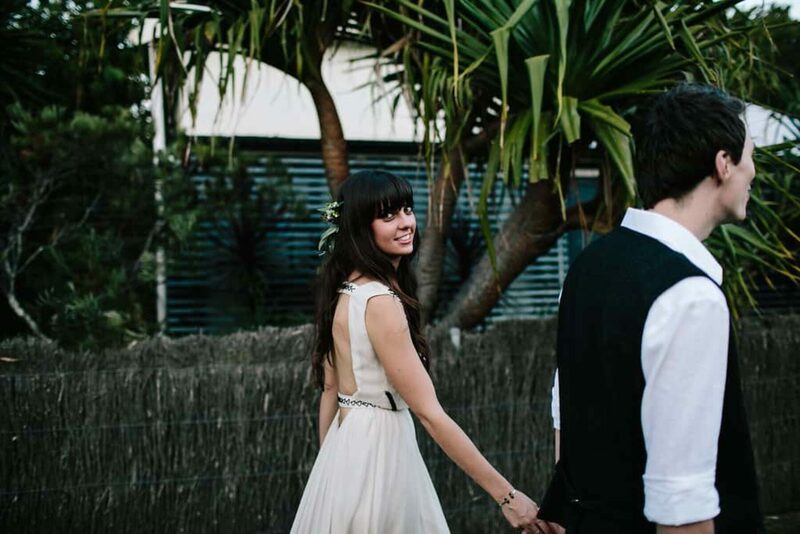 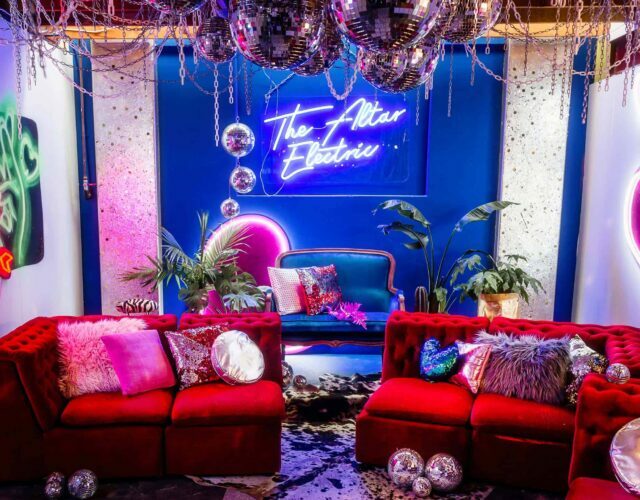 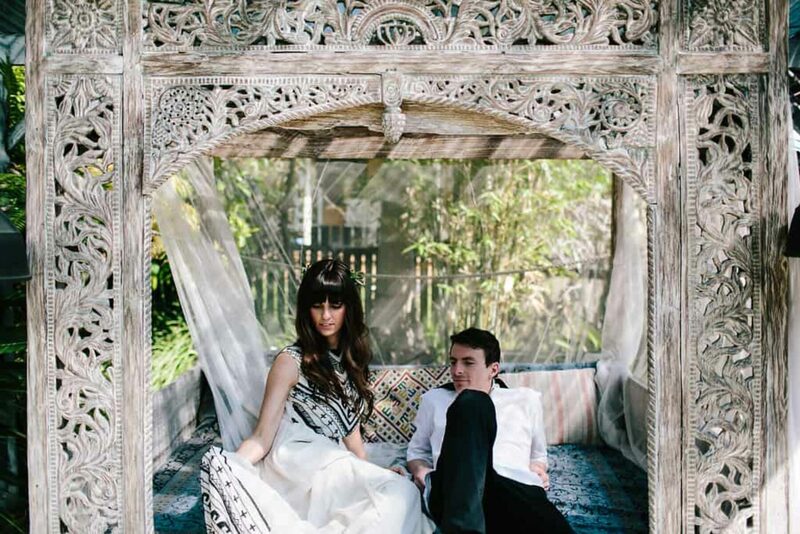 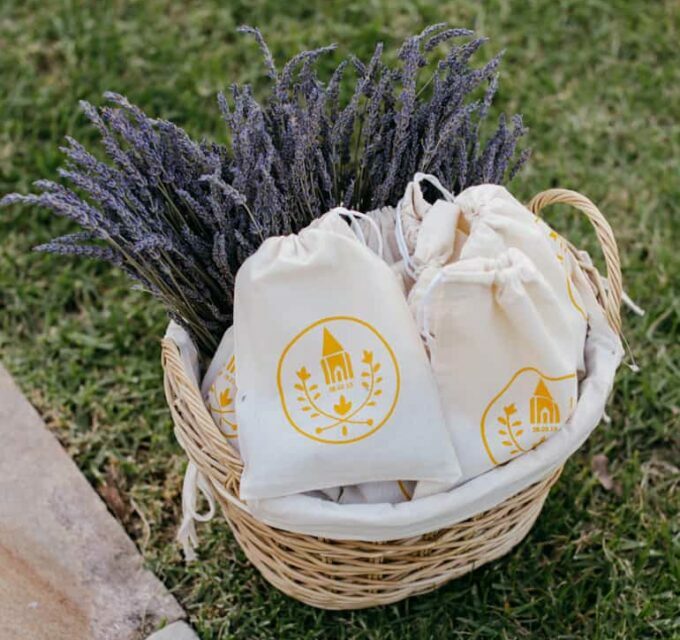 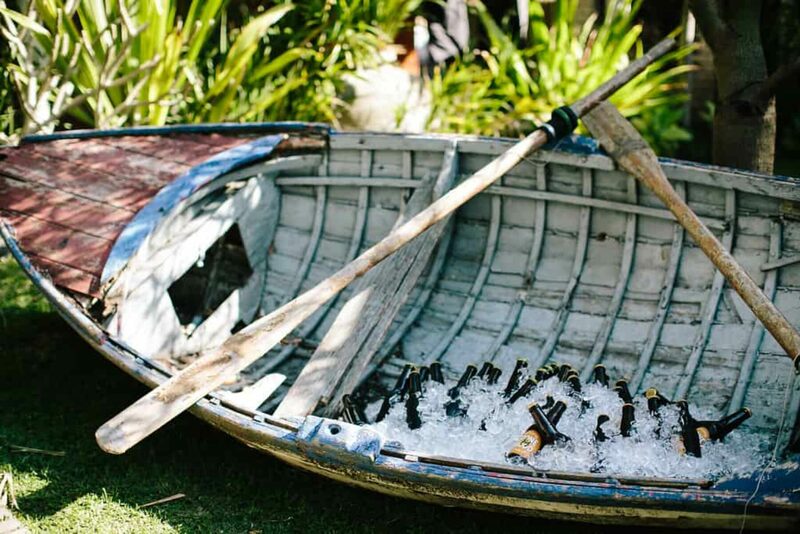 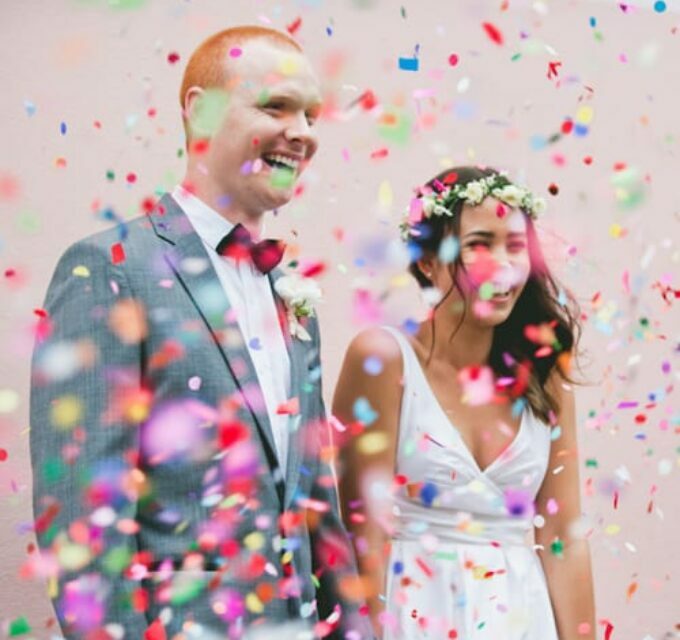 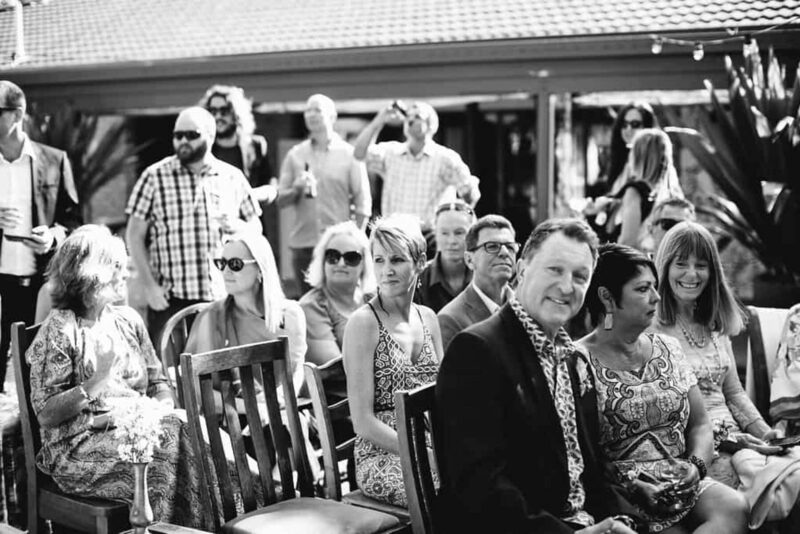 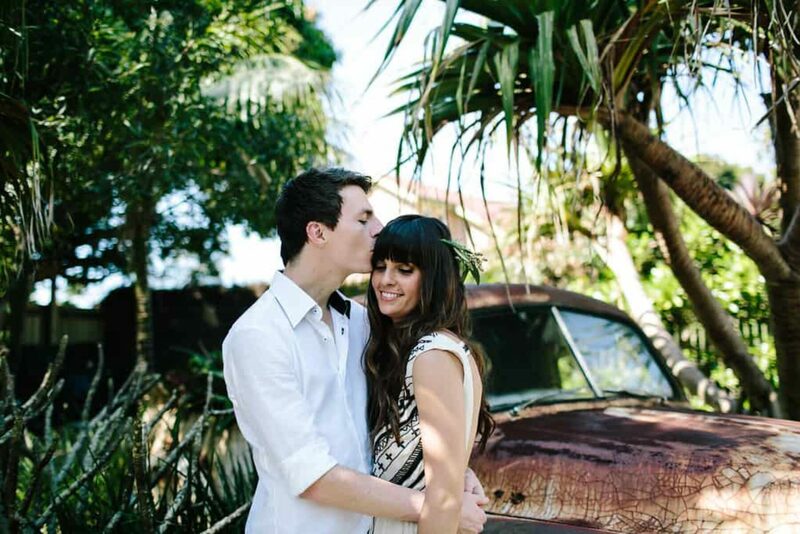 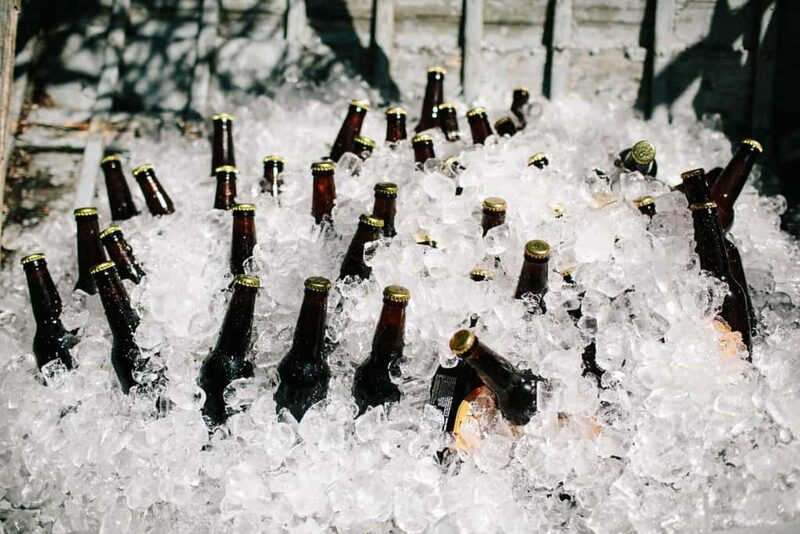 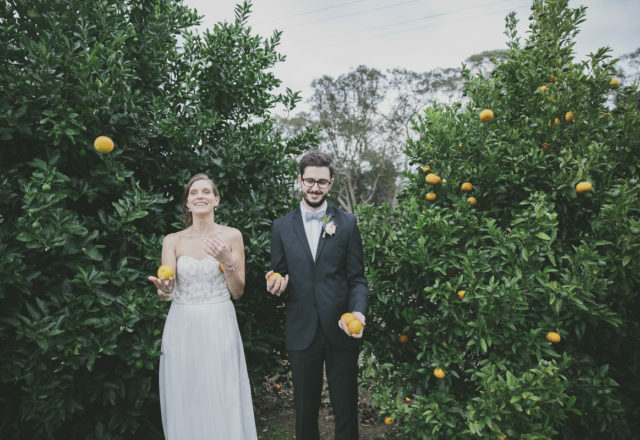 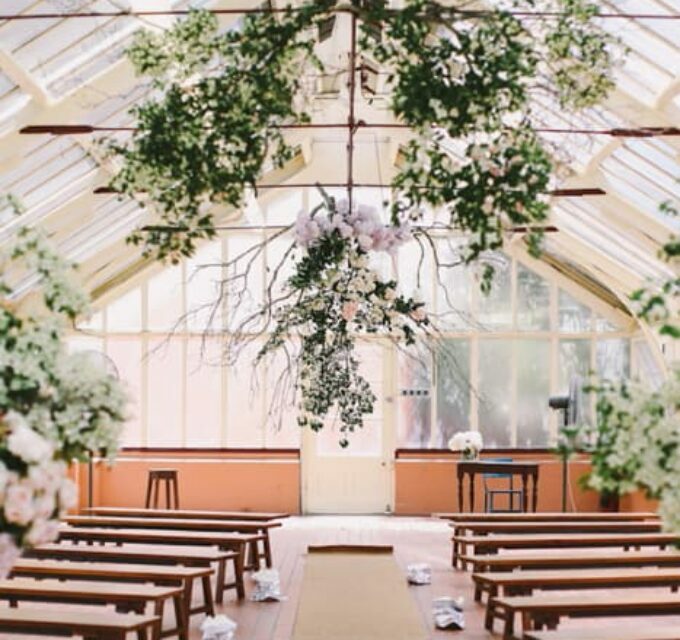 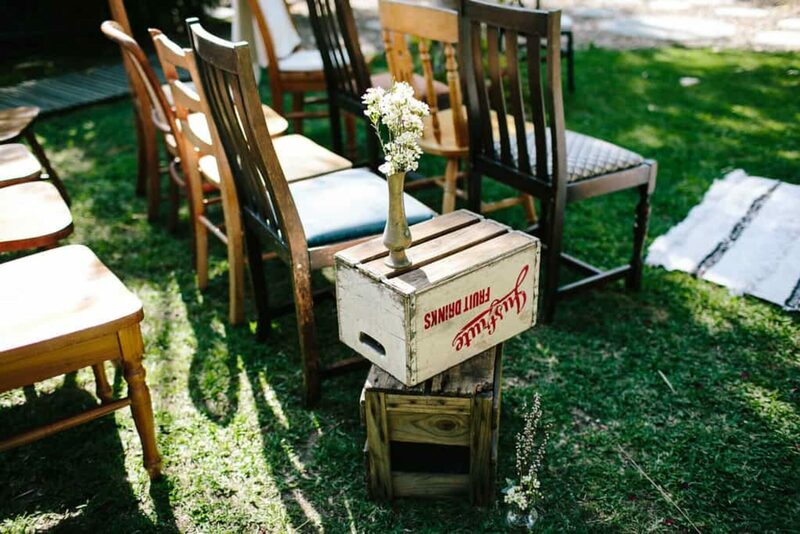 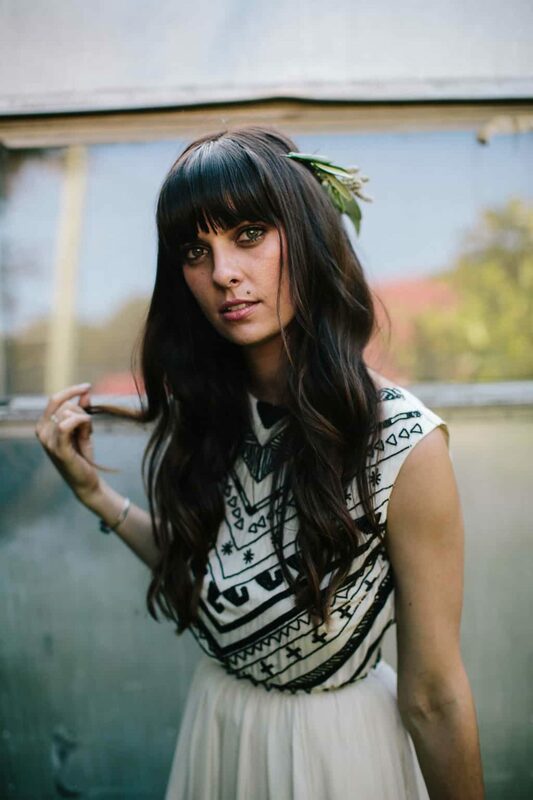 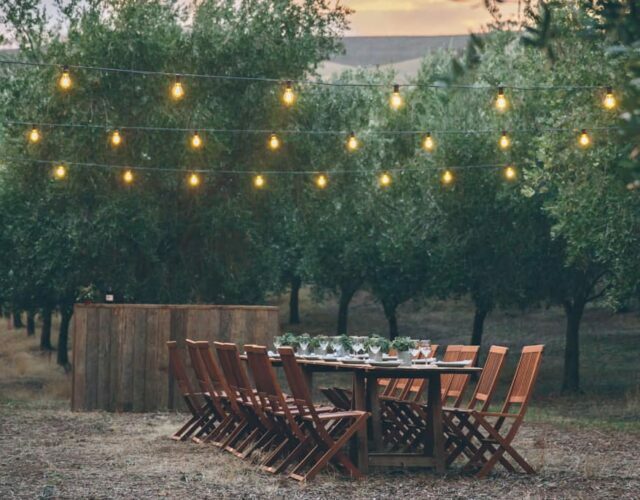 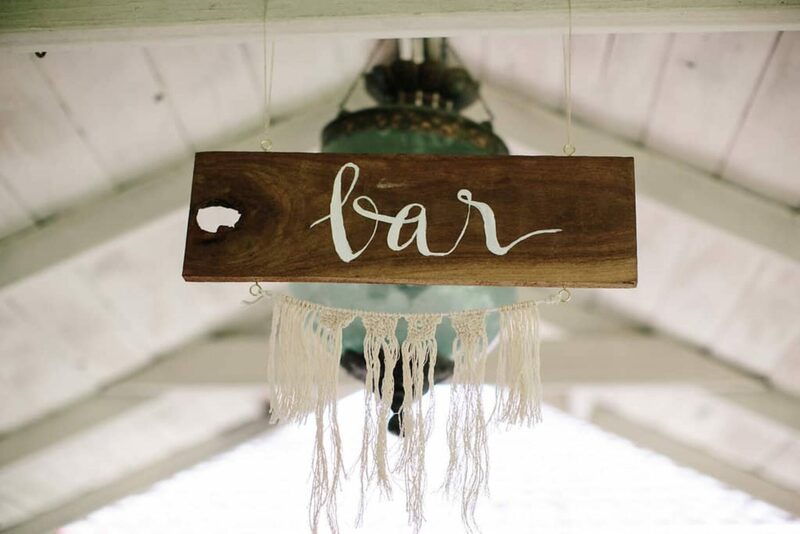 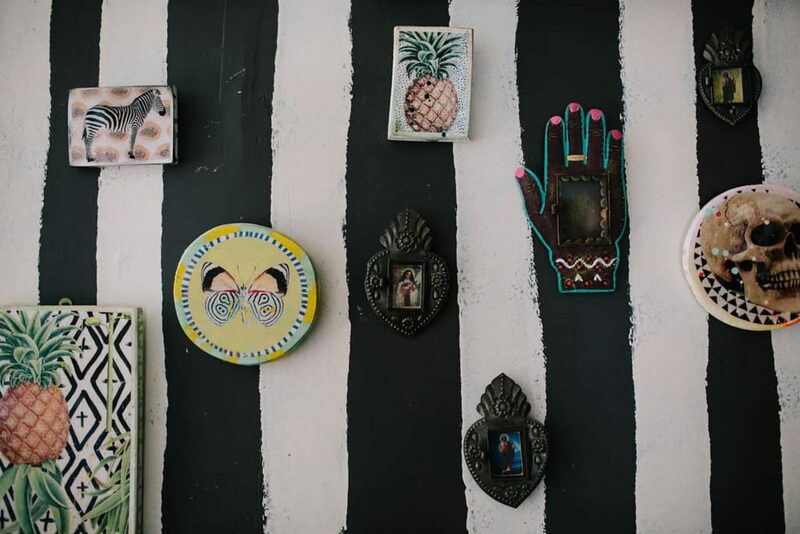 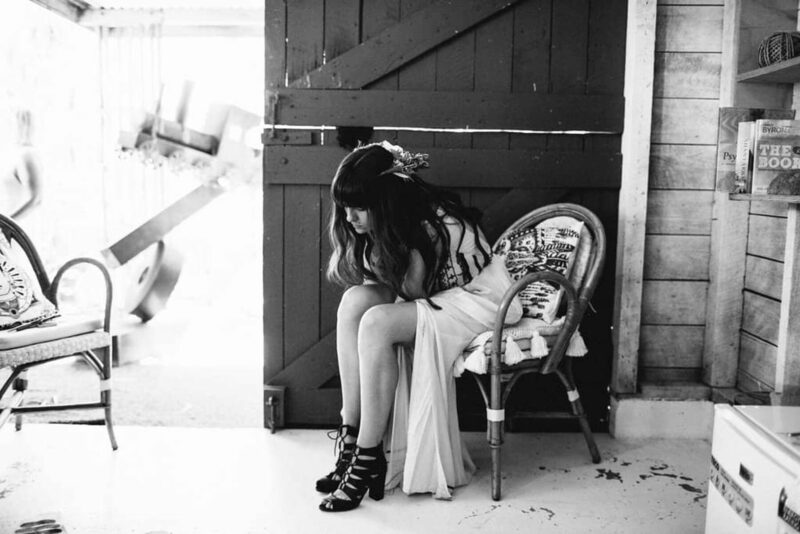 “It was the first and only place we looked at,” says Phoebe of their eclectic venue. 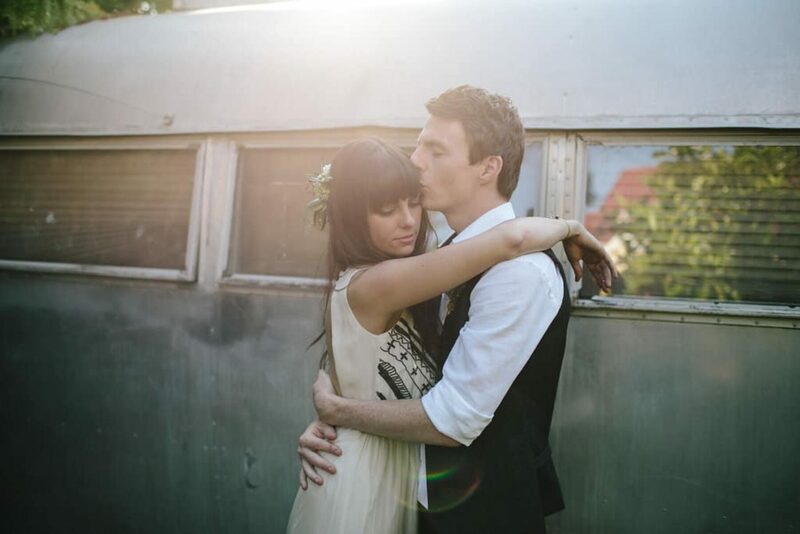 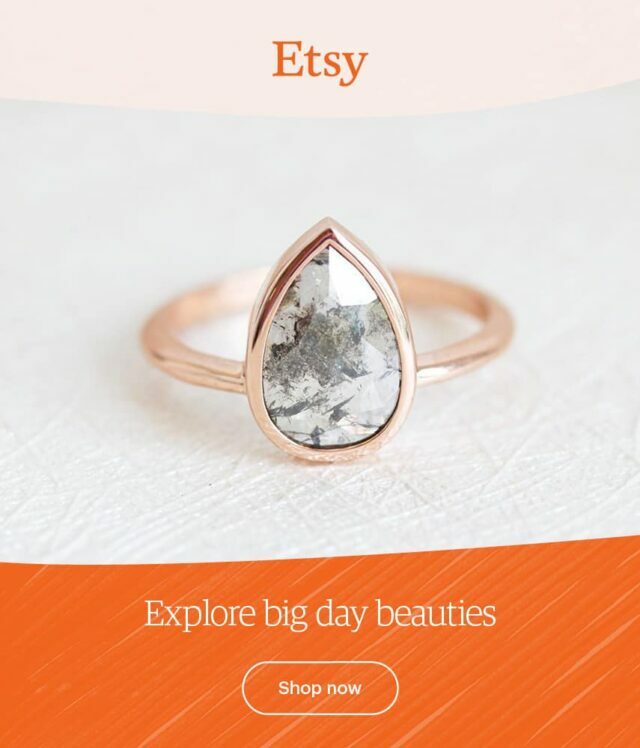 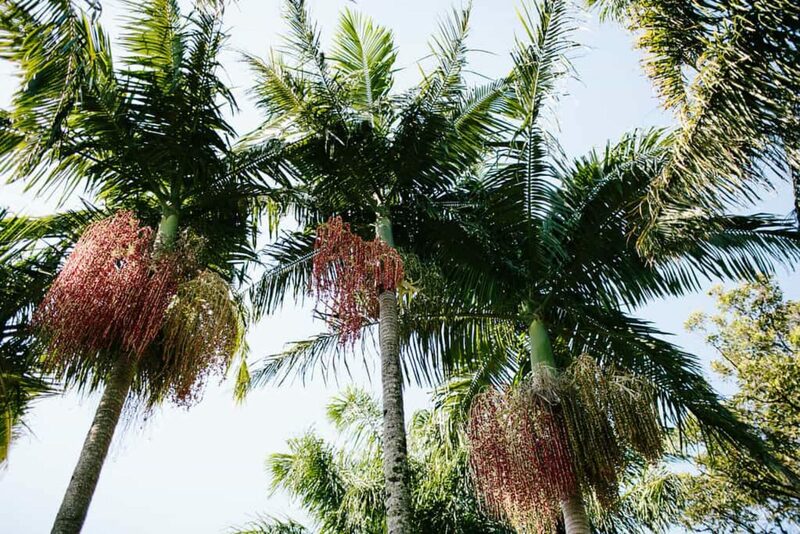 “Its originality and style made us both fall in love. 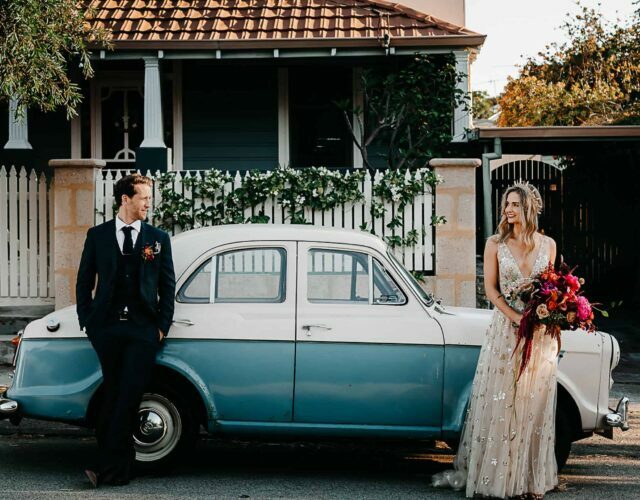 We just wanted to move in!” And after carting in much of the contents of their house (rugs, cushions, a hammock, crystals and tableware), they weren’t far off doing just that! 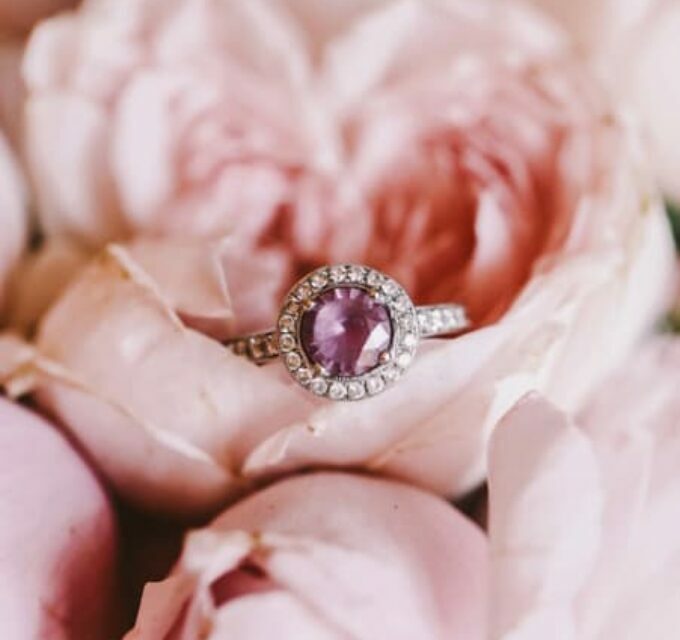 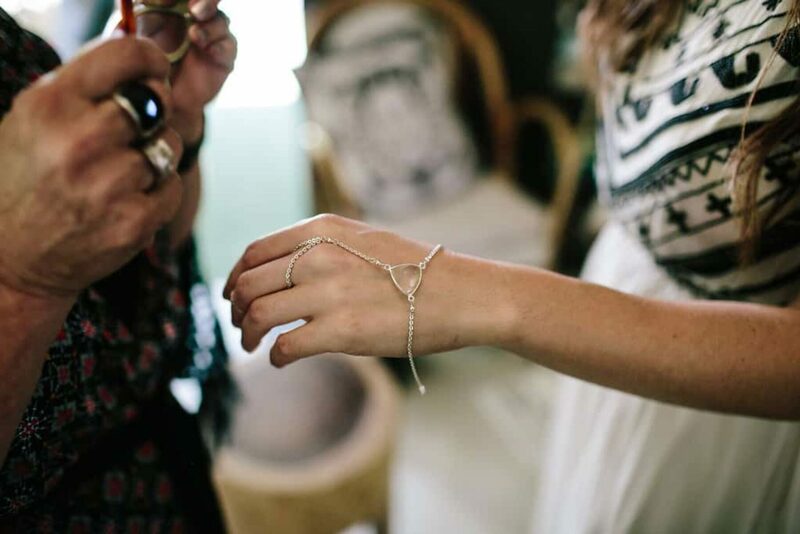 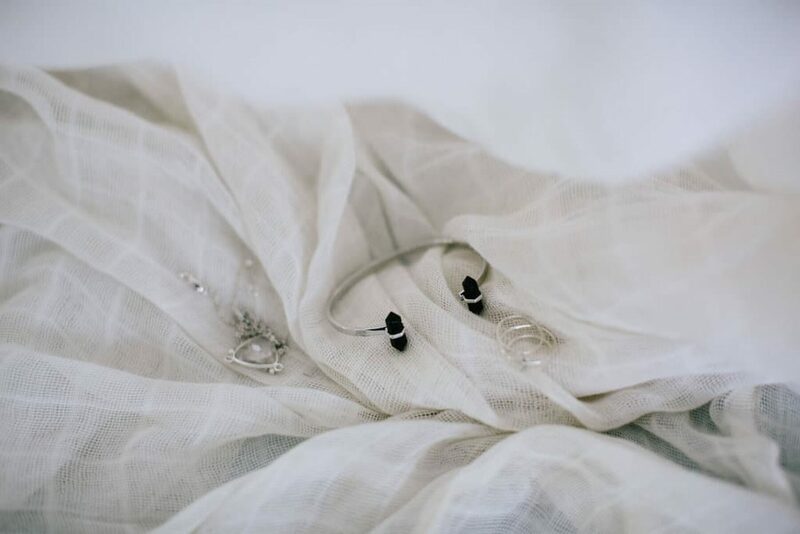 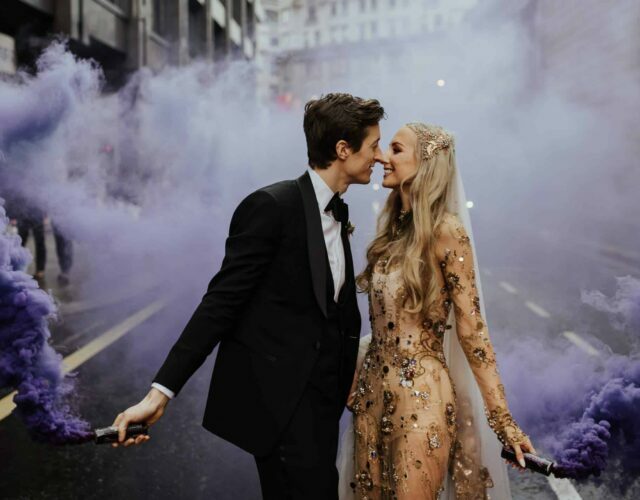 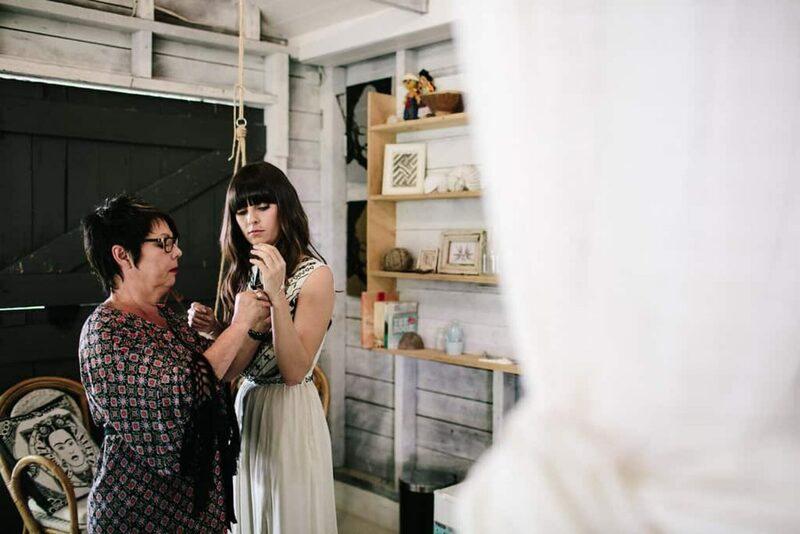 Phoebe and her family run sacred jewellery store Wilde Asher, and the bride was lucky enough to have her mum make her all wedding jewellery. 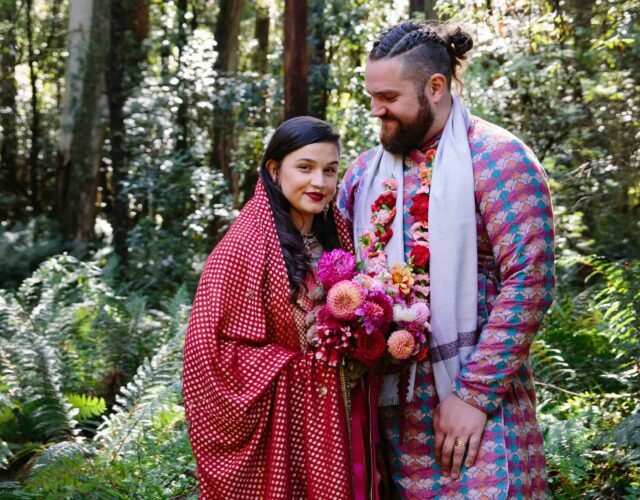 Jared had said to Phoebe that he wanted her to feel like herself for their wedding, which meant a traditional dress was not an option. 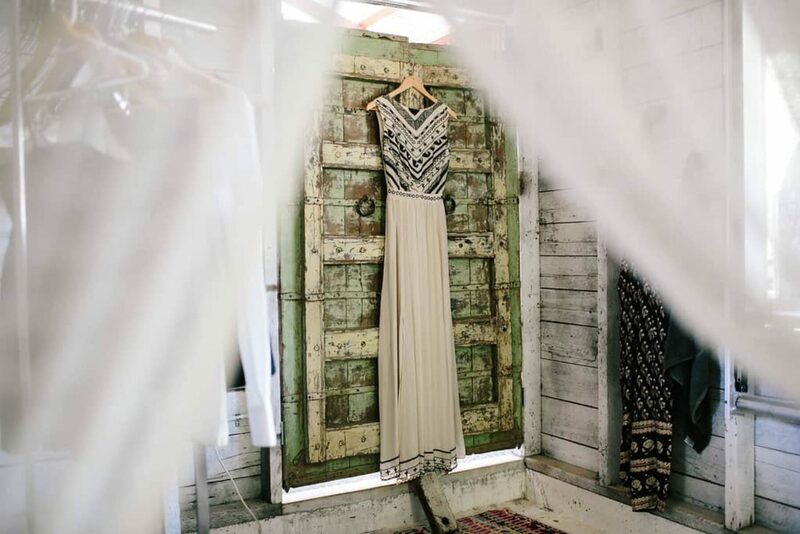 Having coveted this tribal-inspired Mara Hoffman gown for years, it was really the only choice. 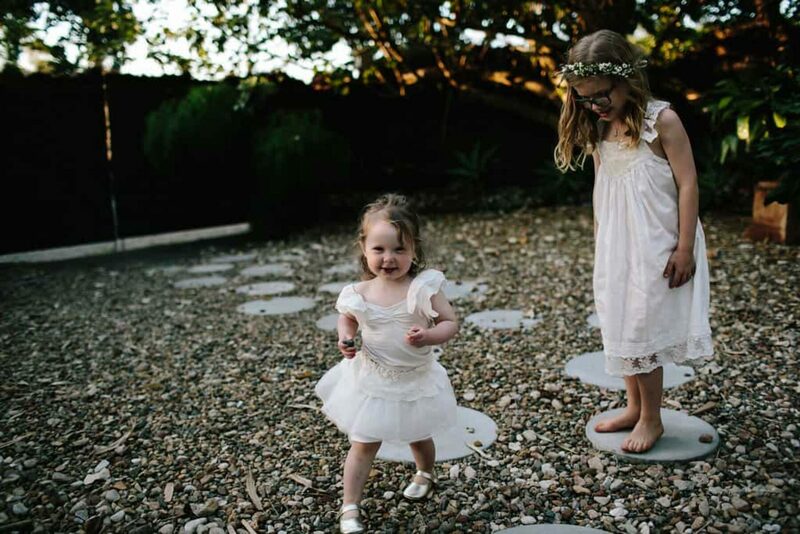 There's no shortage of natural talent in this family! 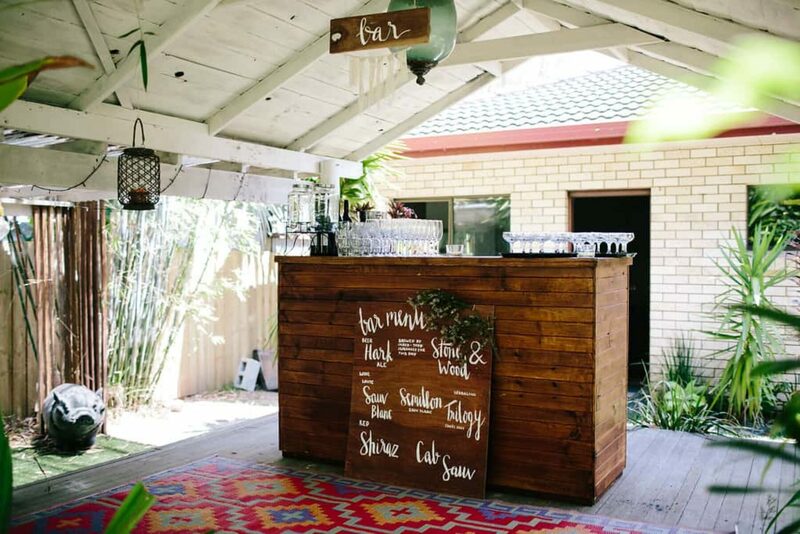 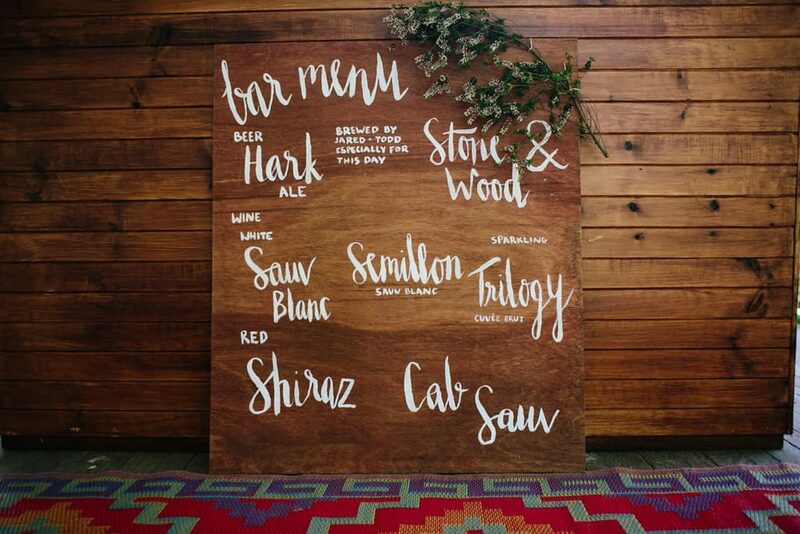 Phoebe designed the stationery and hand painted the timber signage, while her sister crafted that beautiful macrame backdrop. 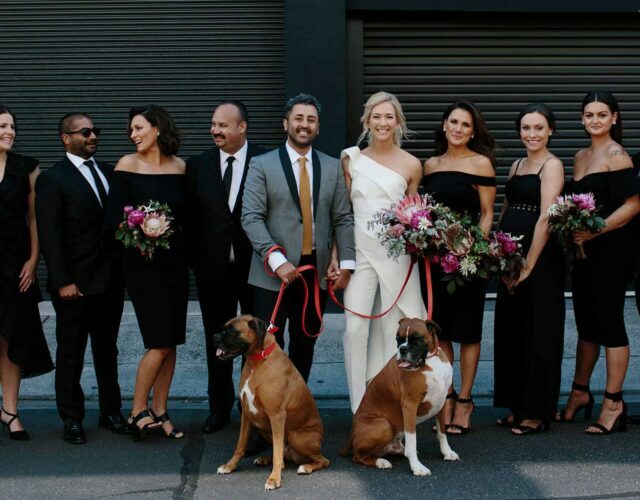 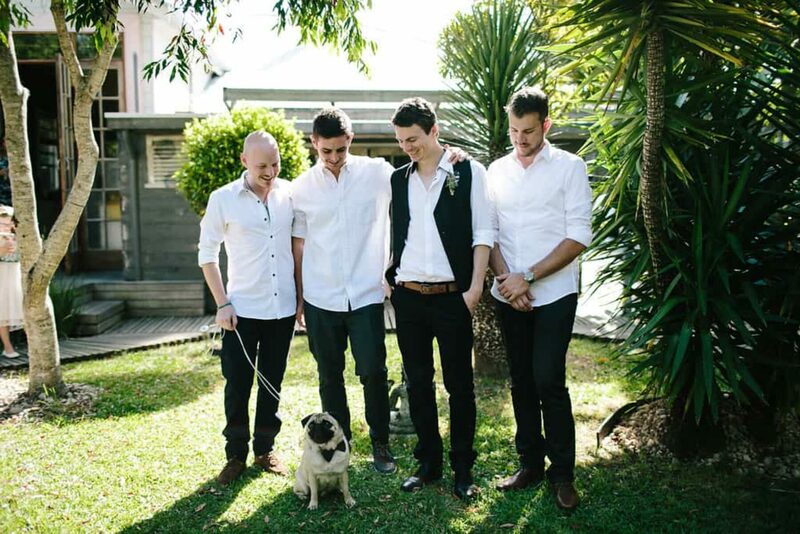 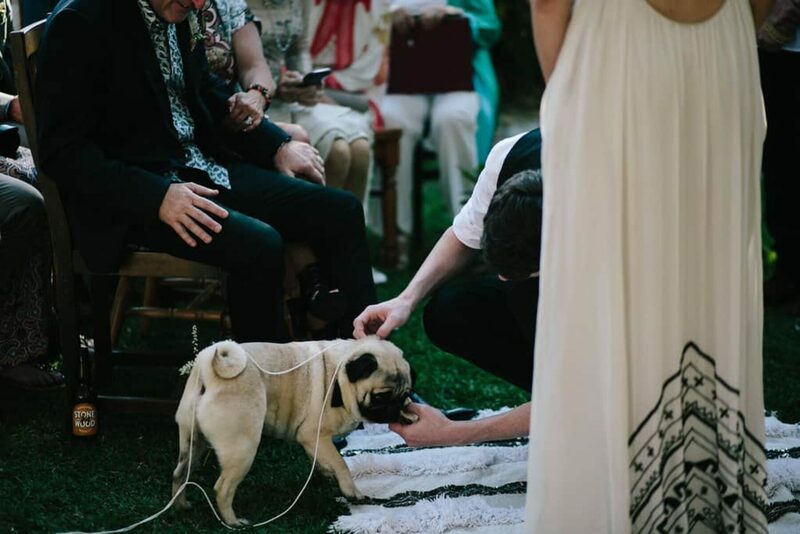 We're told Fyfe the pug (and ring bearer) was the most important of Phoebe and Jared's 45 guests! 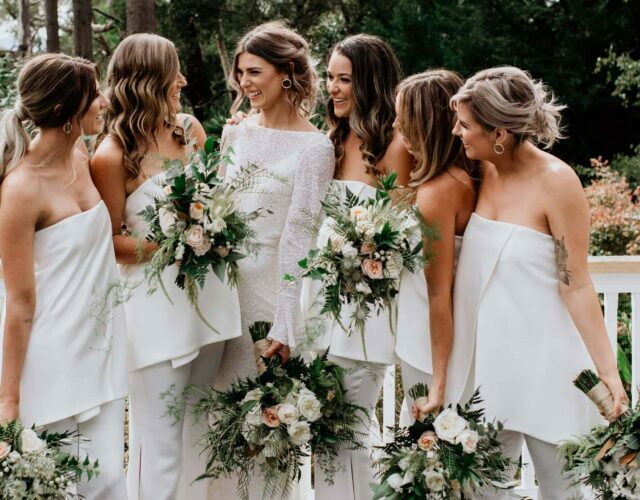 Phoebe asked her bridesmaids to choose their own dresses from Free People. 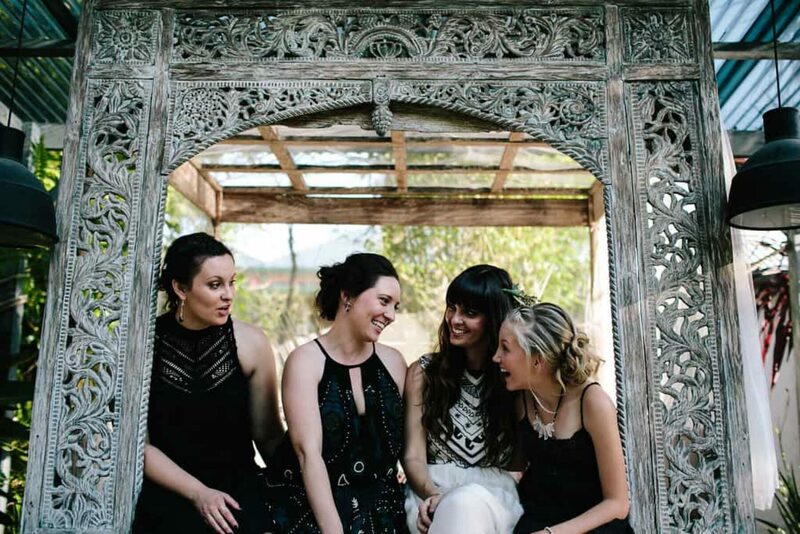 "We didn’t see them all together until the day but they all worked beautifully together." 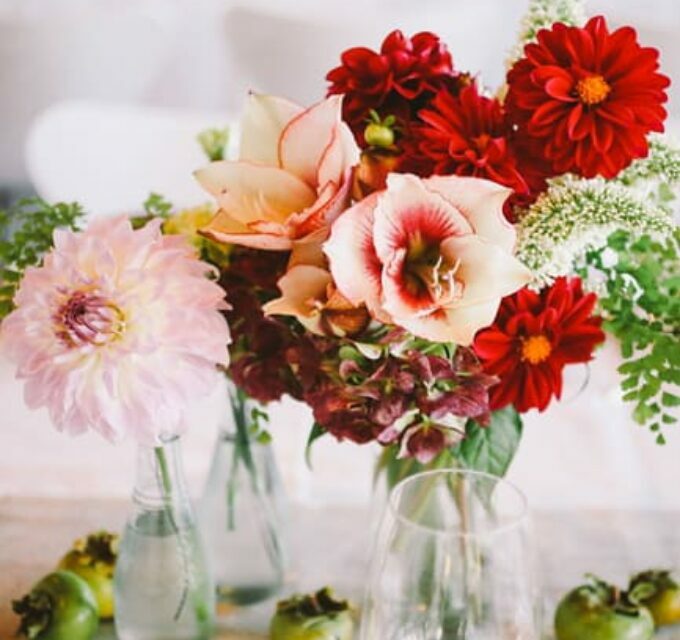 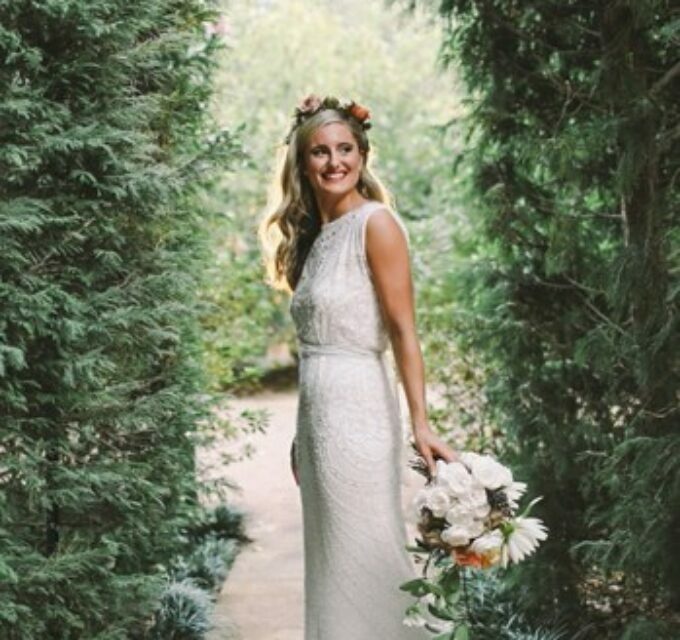 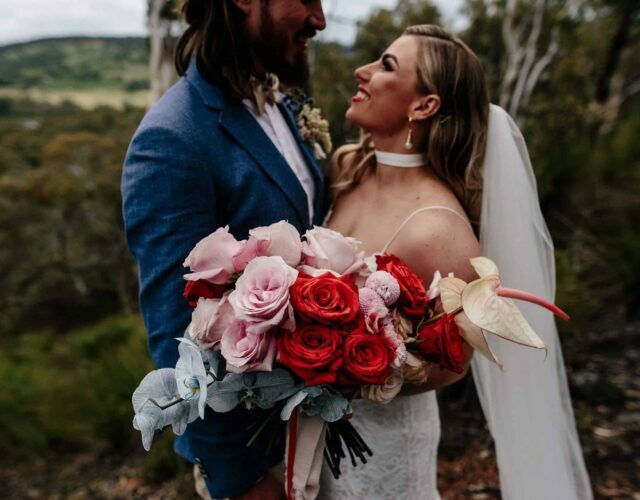 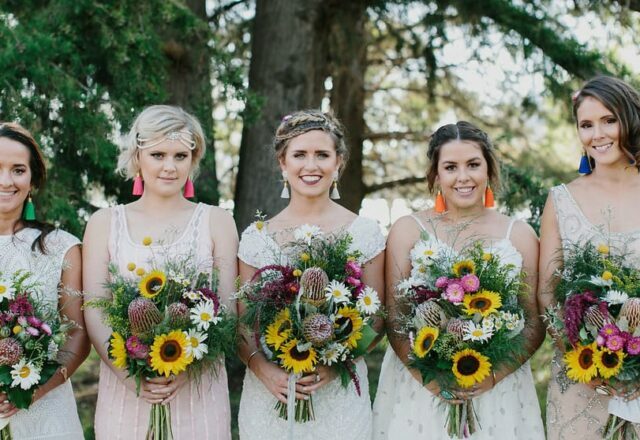 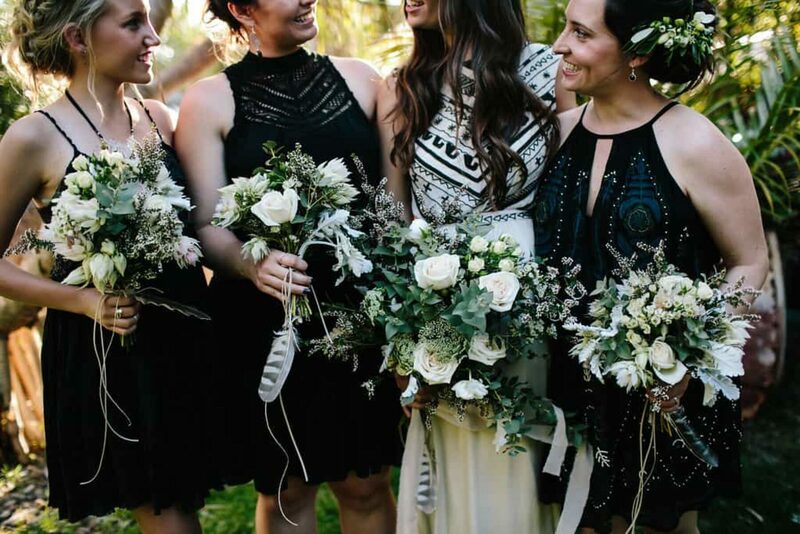 "My beautiful friend (and boss at Renee Loves Frances) is a natural with flowers and crafted our bouquets," Phoebe tells us. 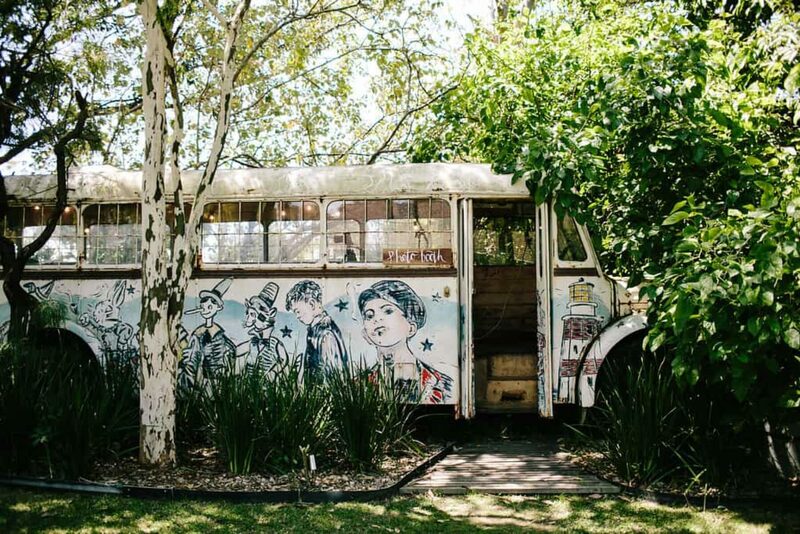 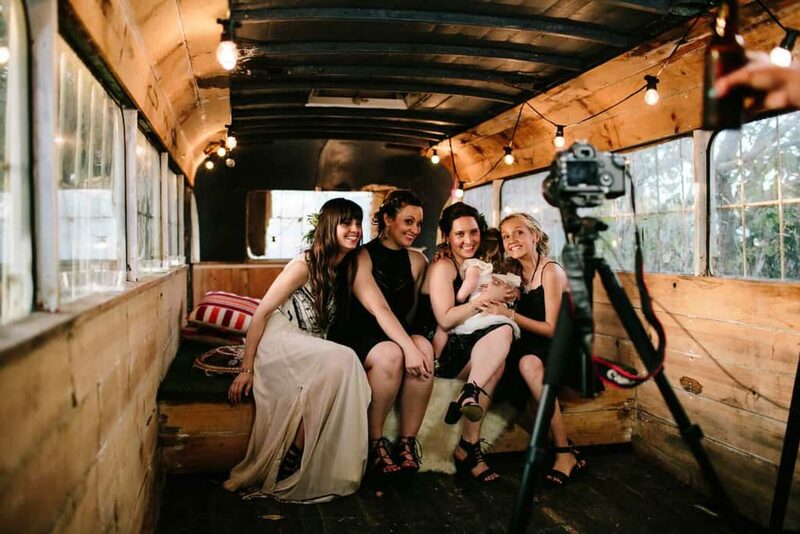 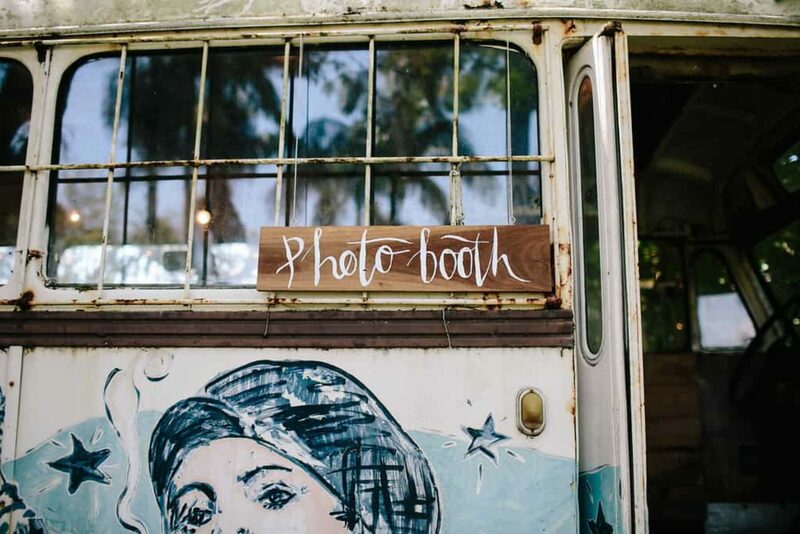 The Secret Garden's resident dilapidated bus played host to the photobooth, which Phoebe and Jared setup using DSLRBooth.